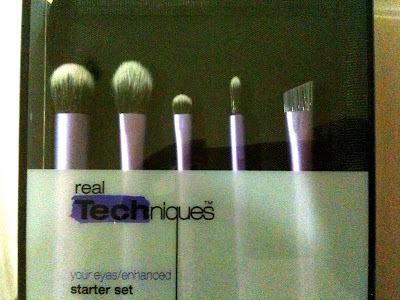 Real Techniques Brushes By Samantha Chapman Available In Malaysia! Ladies, I am sure some of you out there will be happy to know that Real Techniqes brushes by Samantha Chapman has arrived at our shores. I was looking to purchase these online but was pleasantly surprised when they were discussed on a Facebook group I subscribe to and even more surprised to learn that these were sold at Shins! To pursuade the hubs to take me to Mid Valley where Shins has an outlet was not too difficult, thankfully! 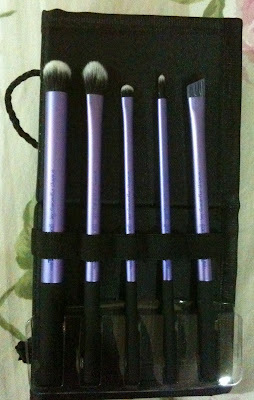 Although there is a small Shins outlet at Festival City, a spanking new mall which is a hop and a skip away from my abode, I knew that they were too small an outlet to carry these brushes....so away we went to Mid Valley. Samantha Chapman is a YouTube makeup tutor﻿ or a 'guru' as many would term her and she forms one half of the Pixiwoo team together with her sister Nicola Chapman. She is also an accomplished makeup artist and has worked on a host of runway shows as well as with top photographers. Now, she has created her own line of brushes for eyes and the face in order for us to be able to create looks that are professional and polished. 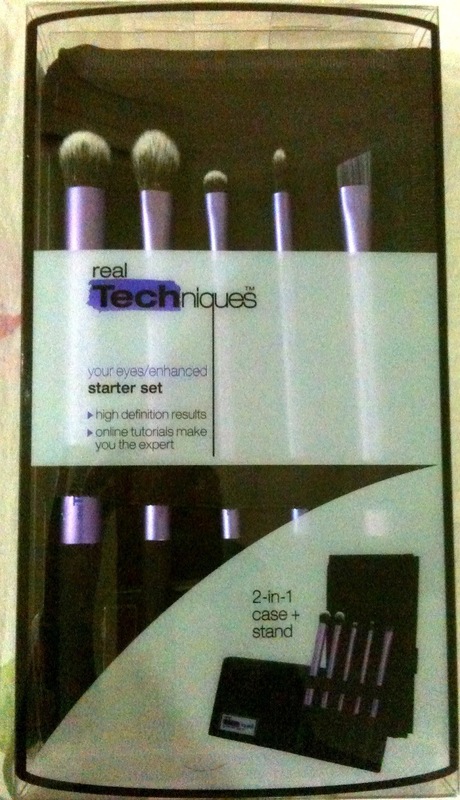 I picked up several brushes - the foundation brush, powder brush and the starter set for eyes. One of the first things you notice is that these brushes are color coded. Brushes for different functions have ferrules of a different color such as this:- purple brushes are those you use for eyes and brows; orange are for the face, to apply your base and pinks are your stippling and blush brushes. If you are a seasoned makeup user, one look at the brush head and you would know what it was for, so the color coding sort of did nothing for me in that sense. Also, one brush made for one purpose does not necessarily mean that we only use it for that purpose. I don't know about you but some of my brushes are multi-purpose and it is exciting to discover a new use for a brush that you bought for a different purpose altogether. For me that's stepping outside my comfort zone to stretch my abilities and make things work for me. 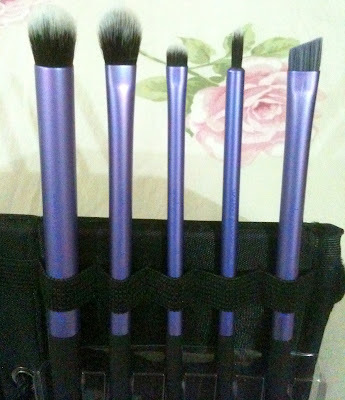 So I must say that the color, even though it adds a lovely touch, did not really set my mind to what function it coordinated to.These brushes also has the corresponding name printed on the side so you can identify the function and use of the brush. 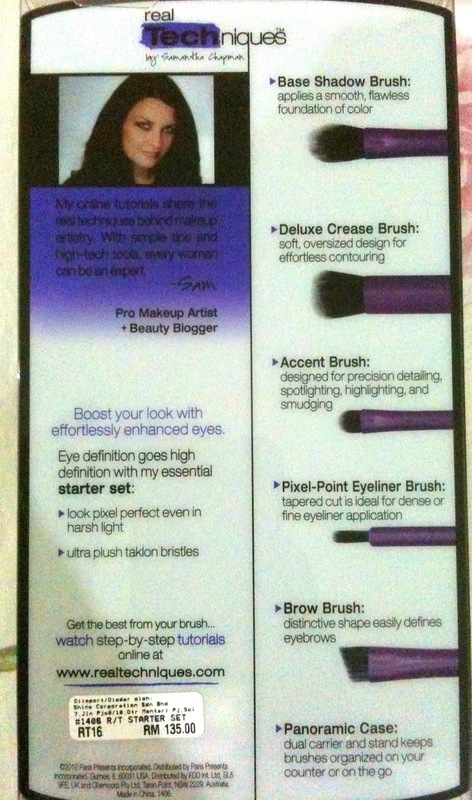 Quite useful if you make video's and and constantly using different brushes to create your looks. The ferrules are made of aluminium and is therefore very lightweight which I quite like. Real Techniques brushes are made from taklon which are synthetic fibres and hence makes them cruelty free. 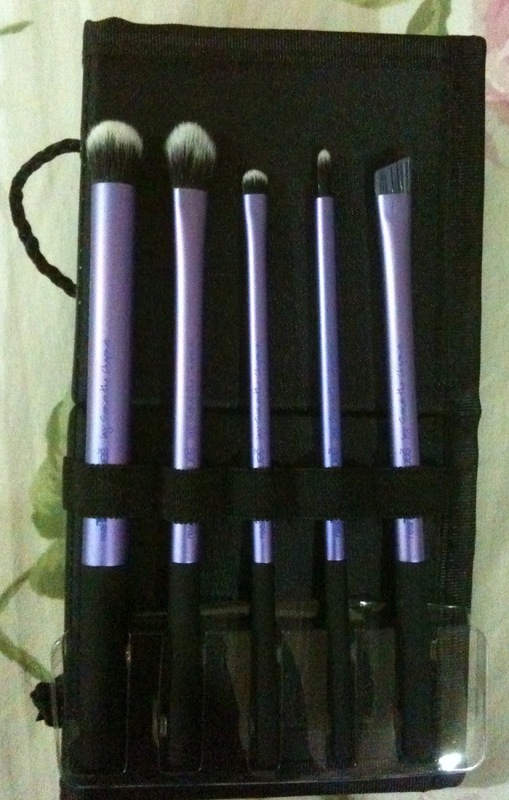 The brushes I purchased, came with varying degrees of sofness with the softest so far being the powder brush. As soon as I got my brushes, I gave them a quick rinse and noted that not one of them shed a single hair, despite some vigorous sloshing around to get the cleansing solution to penetrate into the bristles! The FOUNDATION brush. Retails at RM68.00. My first impression of this is that the bristles are not as soft as the powder brush and seems a little stiff to me. I hope that it does not poke at my skin and I am eager to find out how it dispenses and diffuses my foundation - will this be a replacement for my current favourite Shiseido foundation brush? The POWDER Brush. Retails at RM78.00. So far the Powder brush is the only brush I have used and I have fallen in love with how soft it is. What I have now for applying powder is a MAC 182 and I do love that but for a change from using a stubby brush, the long handle of this one was quite a refresing change. This is the back of the box which has a picture of Sam and a quick run down of the brushes included. This set is sold at RM135.00. 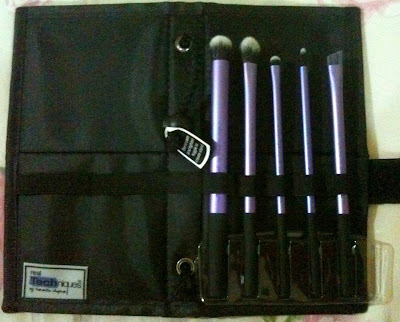 The brushes also come in a "Panoramic 2 in 1 Brush Case plus Stand". Very useful for when you are travelling and need something to store your brushes in as the case closes with a velcro clasp. Better yet, there are a few additional storage spots in the case for other brushes that you may want to store so you can ideally pick your favourite brushes and customize this storage case! If you prefer to have this stand on your dresser, then you can simply fold this in half by pulling on the toggle rope provided and prop it up as you can see in the pictures below. 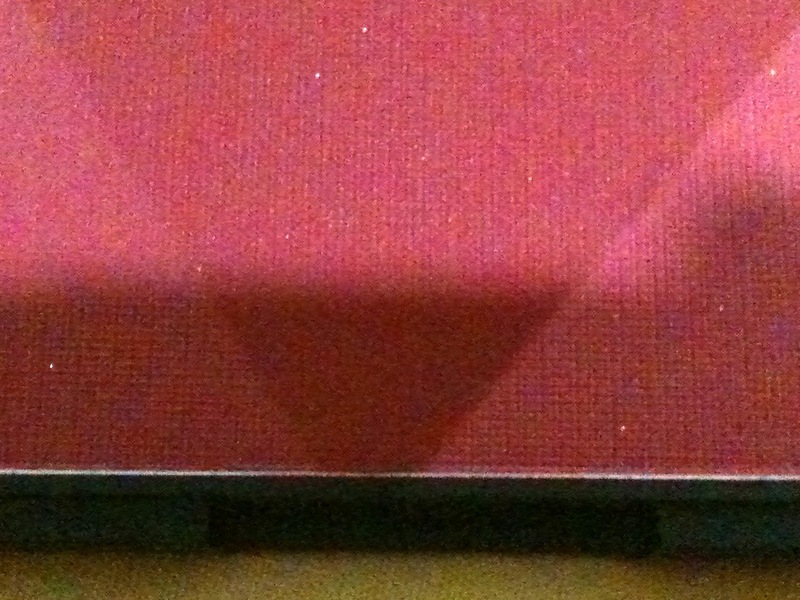 The Starter Kit in it's Panoramic casing. To be really honest, I took the brushes out and kept them in the big vase that I have for all my brushes and this case sits in my drawer. 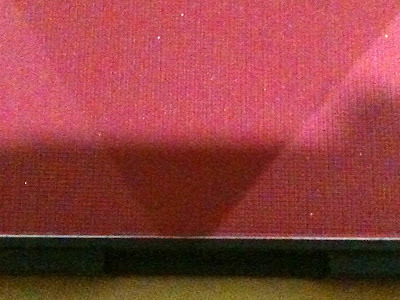 I did not find a standing case useful because I like all my things neatly kept away and displaying this on my dresser would only mess it up and look out of place. The other nice touch to these brushes which Sam added were the fact that they are able to stand up straight if set on a flat surface as the ends of the brushes were all designed flat. It is a great feature but not quite compatible with my clumsy little paws! Also, I may now need to get a new container to house all my bruses as the wider flat end needs more space compared to my other brushes with more tapered ends. If there is a pressing need to shop....I am not complaining!! Don't even think of drying your washed brushes standing up, my dear readers! That would not be good for your brushes as the water would run down the inner ferrule and ruin the glue that keeps your bristles together! Lookin' Sharp in SLEEK - Some Love from the UK! A friend went on a trip to the UK to meet up with some of her friends and she asked if there was anything I would like from there and frankly, who could resist this offer? So I asked her to pick up a few items from Sleek which is a brand that I was interested in for some time already. Sleek Makeup originated in the UK and is found in drugstores such as Superdrug. This brand can also be purchased in the US through its online store as well as drugstores. Their mission statement is "a colour cosmetics brand dedicated to providing a comprehensive make-up range for all women, especially those that are often under-represented by mainstream brands." I really like that they care for ladies that are under-represented by mainstream brands because it sounds like my story and I am sure, for a lot of other ladies out there who were not born fair skinned. Back in the 80's when I was getting into makeup, the colors offered by most brands were limited. It got better for the likes of me who tried hard to find colors that were suitable or complemented my skin. Some of my friends who had darker skintones had a tougher time and most resorted to not bothering with makeup at all! 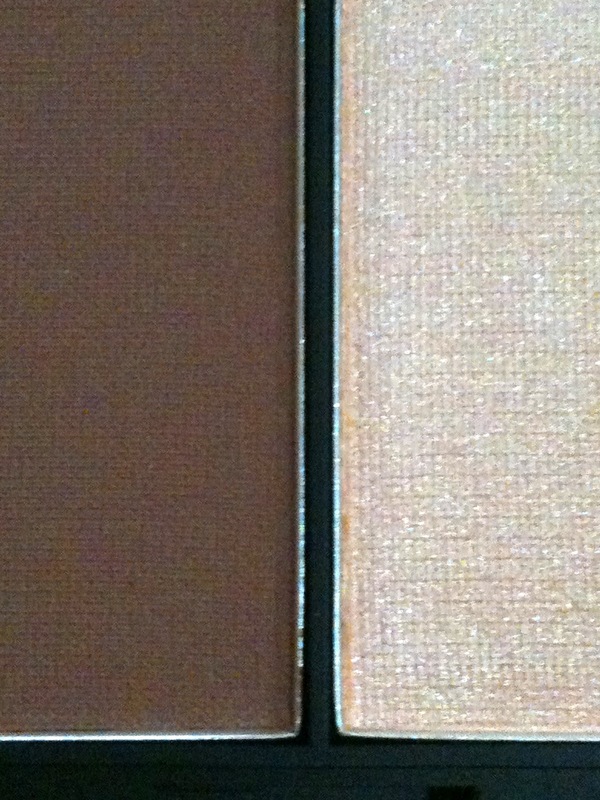 Here is the I-Divine 'Storm' Palette and if you love neutrals, then you will love this palette. This palette offers plenty of opportunity to create smoky looks as well as office appropriate looks if the smoky thing won't cut it in your office! There are 9 metallic shimmer shadows in here as well as three matte colors to create lots of interesting looks. I not such a big fan of shimmers but I find that plenty of blending helps to ensure that my eyes don't look like disco balls before I leave the house! 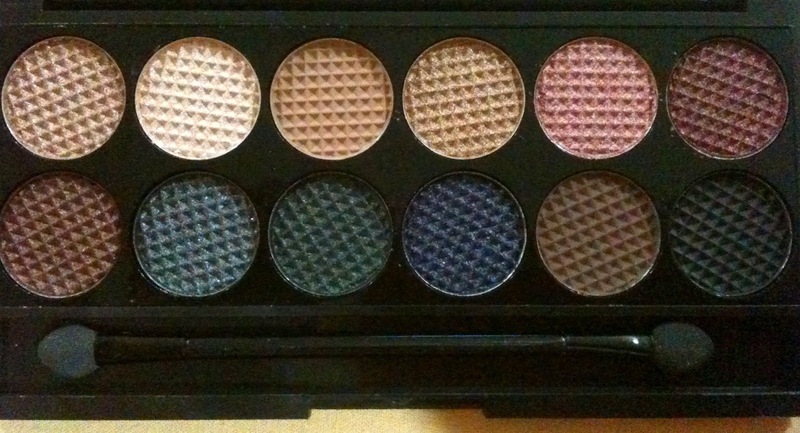 I have used about three colors from this palette and I must say that they are truly pigmented and applied smoothly. So be very careful when you pick the colors up with your brush - go easy and build up the color. 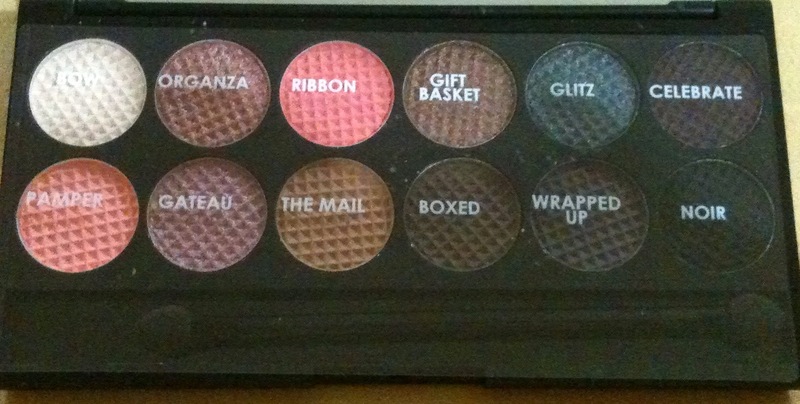 This is the 'Oh So Special' palette and this one came witha plastic insert with the names of the shadows. So easy when you want to reference them in reviews. I have not dipped my brushes into these yet but when I look at the palette I see so many possiblities. 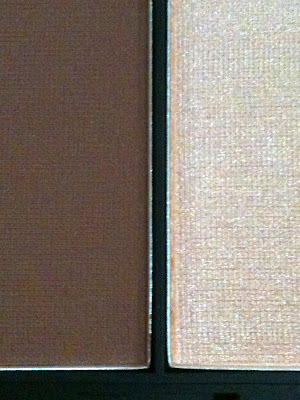 I like that it has some warm shades thrown in bacause it can add a little subtle warmth to some eye looks. 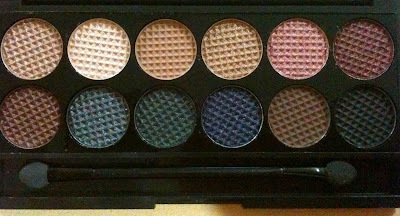 This palette has 7 matte shades and 5 metallics. Sleek black case, classic and not cheap looking. The fact that it is not sold in our drugstores! 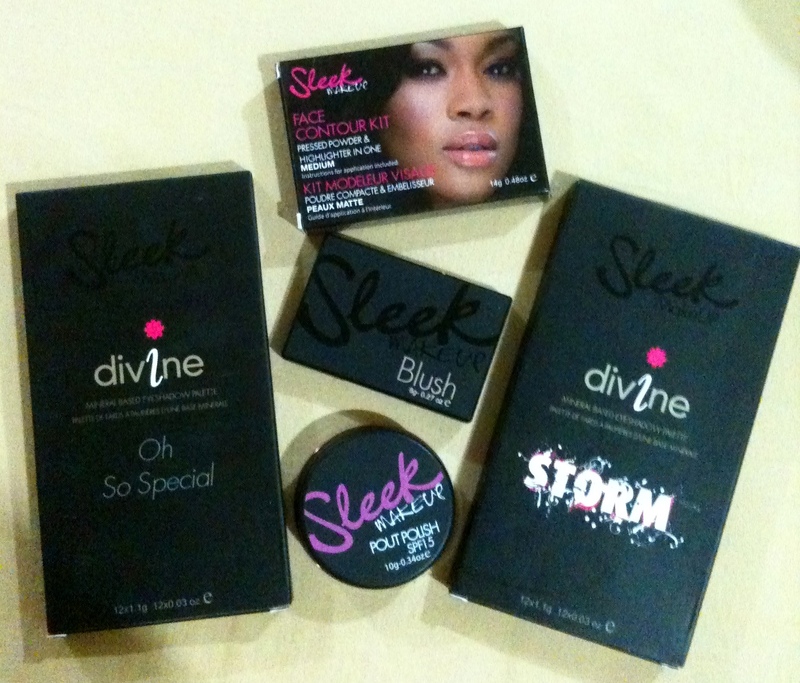 Sleeks blushes also were something I was keen to try and I picked Flushed which is a deep berry color and I must apologise that my mobile phone camera was unable to pick up the color accurately. It looks intimidatingly dark when you look at it but does not apply that way. It gives my cheeks a lovely flushed look which I like and because of that, I have been reaching for this quite often. A good way to keep strong colors soft and not too overpowering is to ensure that you ligtly tap the product with your brush and keep applying in layers until you are happy rather than squashing your brush and swirling it vigorously to get the color....unless you are a clown and need the pop of color. Something I specifically wanted to try was the contour kit and I chose the color medium. Used to sculpt and define the face, this kit is quite something! I used the darker shade under the cheekbones once and I must say that doing so adds a subtle lift to the cheeks which is better than plastic surgery! However, an expert hand is needed in blending this in so there are no harsh lines and because I am in a rush every morning, I do not incorporate this step into my routine. BUT the highlight shade is something else! It adds a very nice glow on the tops of the cheeks and I have also incorporated this as my brow highligher and I use it at the inner corners of my eyes to add a pop of shimmer and to give me a brighter look overall. 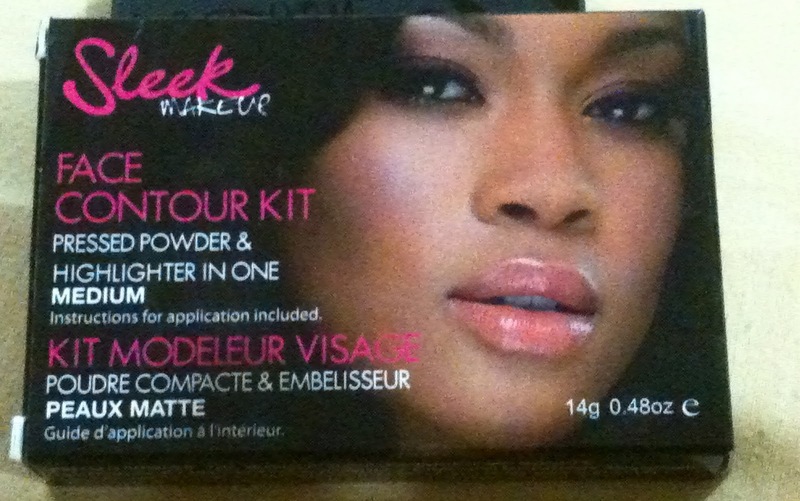 The color is very subtle and close to my skin shade so its the perfect shade for me. I must confess that I have thoughts of purchasing this online so I can sleep better knowing there is a backup of this lovely shade in my drawer somewhere! The retail price is around RM31. Here is the pout polish which functions as a tinted lip conditioner. I used this once on my bare lips and it came off quite lovely and shiny and made me feel like I had a 'bee stung' look. This is in "Perfect Plum" and its a MLBB color on me. Love! Costs around RM20 and it comes in a 10grm screw top pot.